In 2003 military veterans and the local government saw the need to combine Memorial Day and Veterans Day observances to one site. 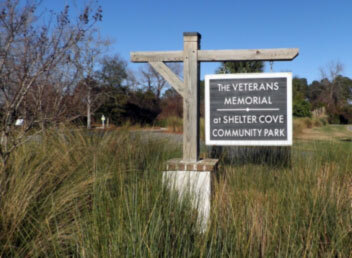 Shelter Cove was chosen and approved the next year. The list is long and distinguished of the many individuals and organizations who contributed to the construction. 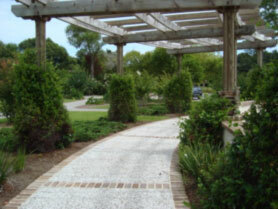 When completed in 2005, using 30 tons of granite it was done so in time for the Veterans Day observance and when the next years Memorial Day came the first combined Military Veterans observance took place. This complete history can be seen on site where it is posted along with information about Memorial Day and Veterans Day.